Getting groceries: a necessary chore that some hate and others find fun. It all depends on how you go about doing it. The biggest issue is remembering everything you have to get and in what order (frozens and vegetables last). The conventional solution is to use a grocery list, something you can make on any piece of scrap paper you find. 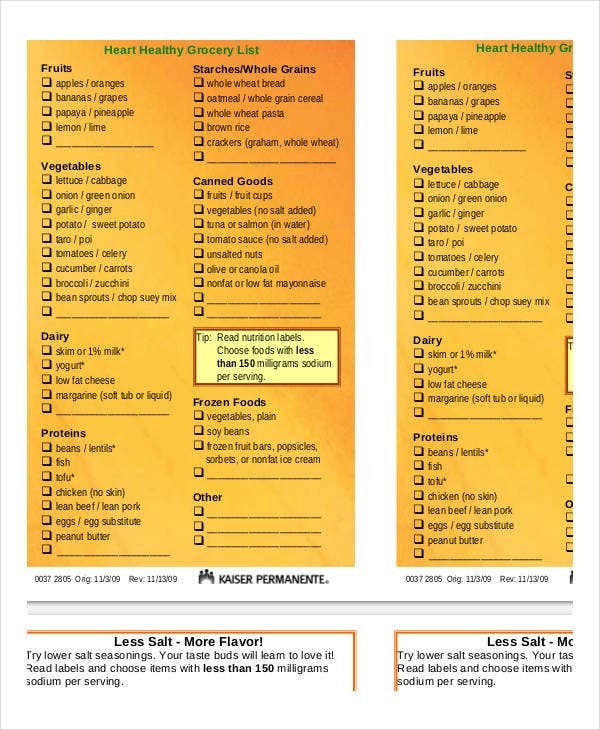 A better way is to find a good List Template from this interesting list of printable grocery itineraries. These are not your ordinary grocery lists. 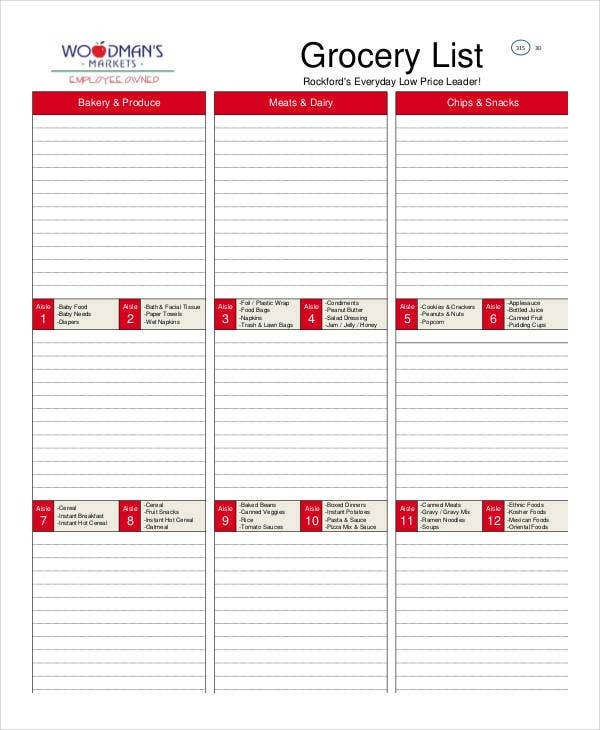 They come with extra features like segmented lists for different categories of grocery items, themed lists, checklists, and weekly layouts. See what you like and download for free! Have you ever left the grocery store feeling accomplished, only to smack your forehead on the drive home, remembering that one important item you told yourself over and over not to forget? To make it worse, it’s right there on your Grocery List. The problem is with the organization. 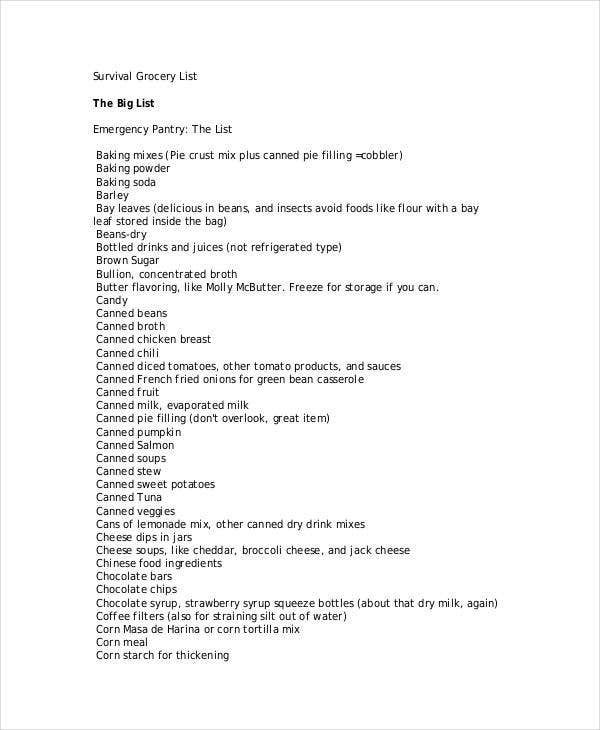 A random list will have you zipping all over the supermarket with no efficient plan of attack in mind. In the end, you will think you have something that you don’t actually have or you will find yourself visiting the same aisle again when you come to a similar item on the list. Just take a look at some of these free PDF lists and see how they can offer a stupidly simple but genius solution: organization. 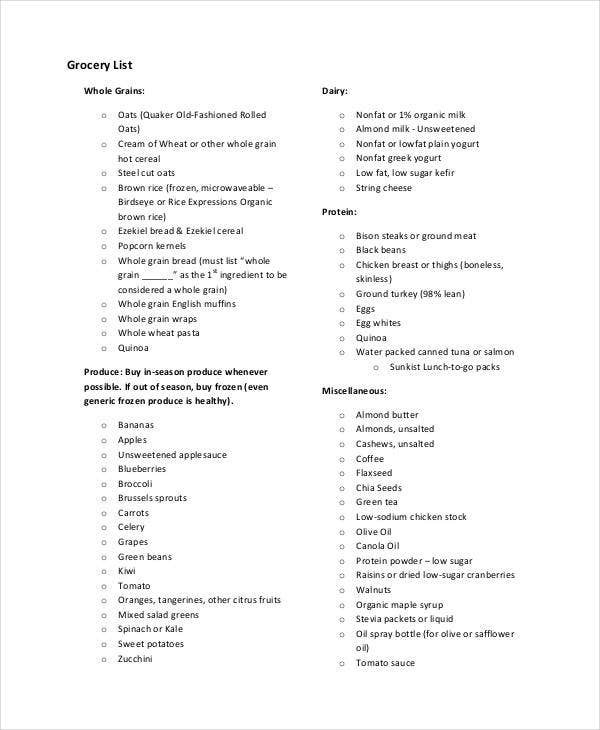 Perhaps you need the same stuff for every grocery trip, or you have a very specific diet or lifestyle which necessitates specialized lists. Maybe you just need to make sure you tackle every category while you’re in that corner of the store. These Printable Shopping Lists will help you on all counts with their purposeful layouts. 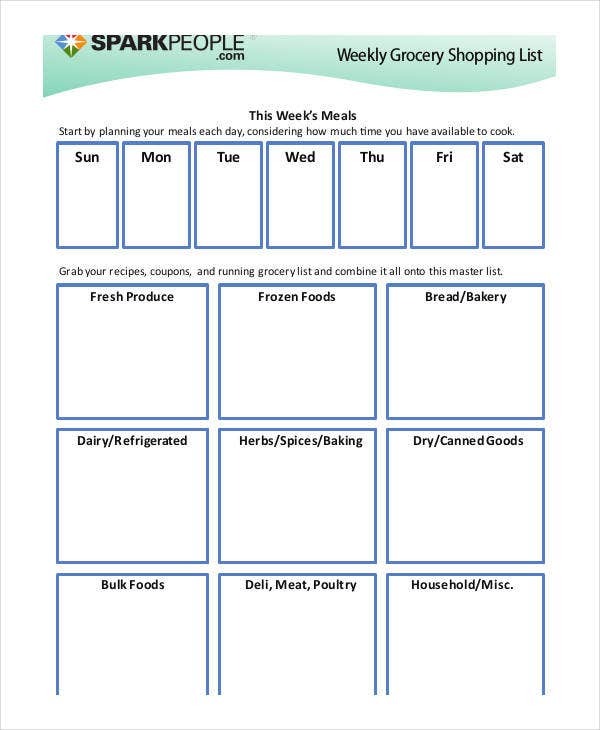 The Printable Weekly Grocery Shopping List will allow you to plan the week’s meals in advance and list the ingredients under each box category. 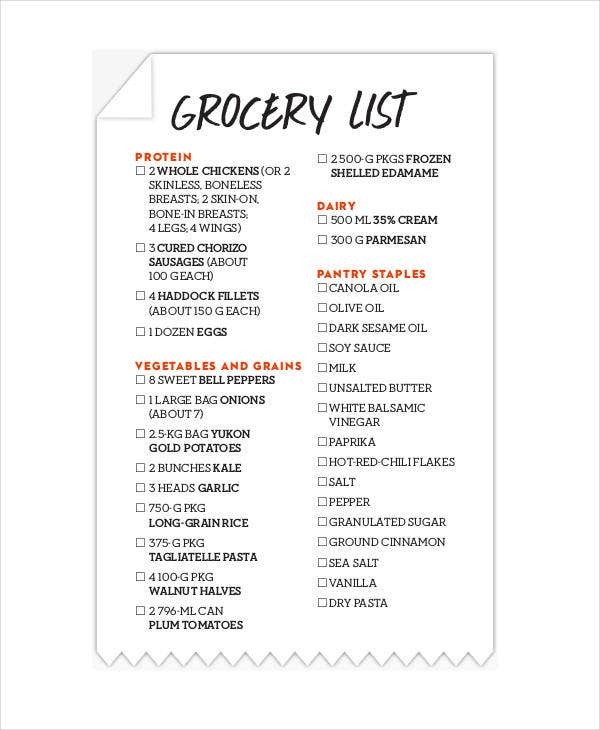 The Printable Blank Grocery List Template will give you the same categorization with some bonus features. Shopping for a diabetic? 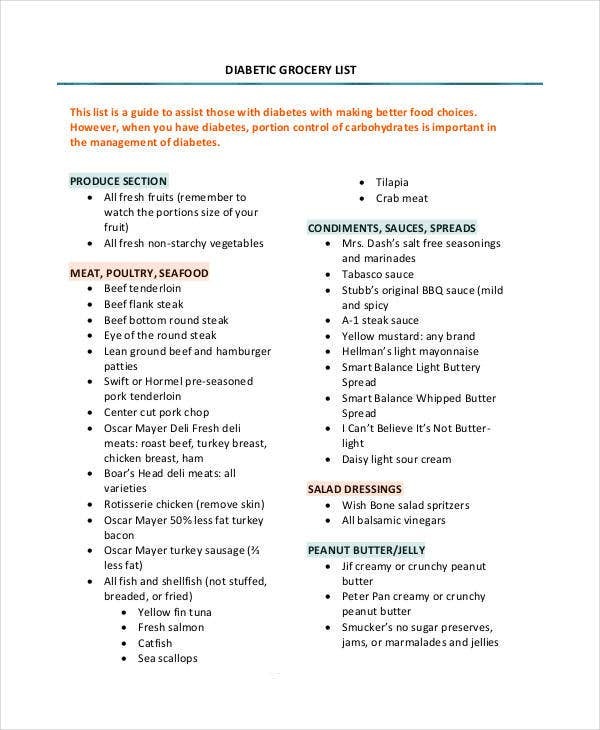 The Printable Diabetic Grocery List is a lifesaver. 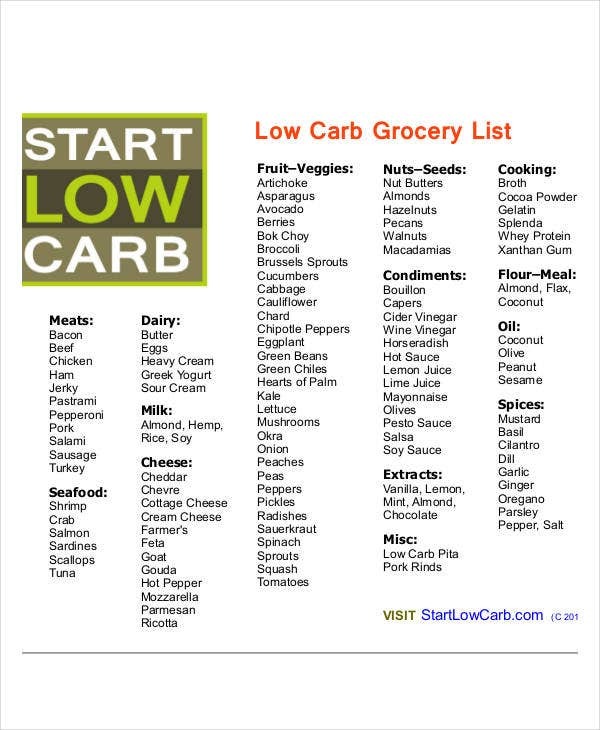 Think of this as a suggestions list or a menu of options that will help you make better food choices. 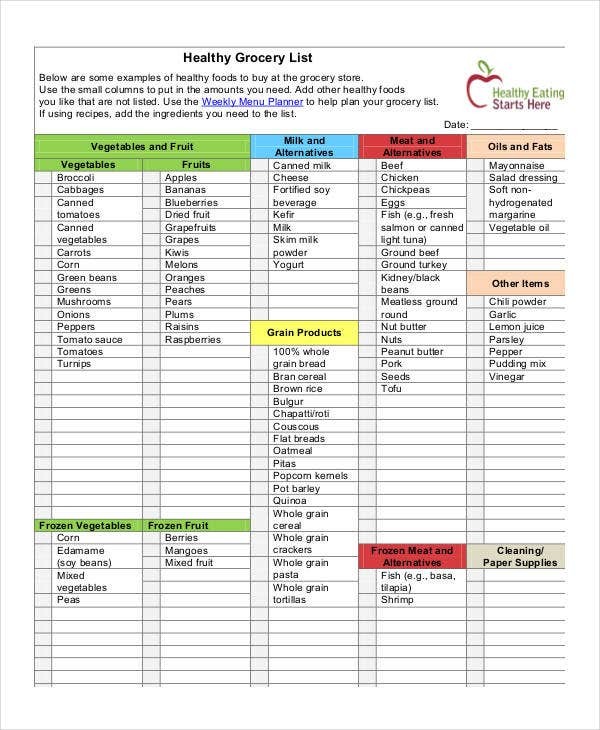 See also Printable Healthy Grocery List and Printable Low Carb Grocery List, perfect for those who want to be more mindful about their shopping. Want everything you’ll ever need on one list? 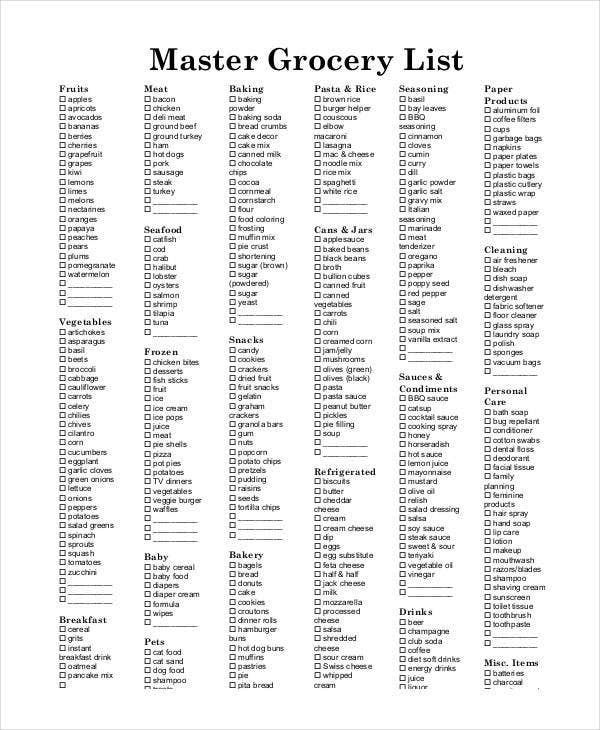 The Printable Master Grocery List Template is a good hoarder’s option, especially if you don’t do this often. These are just some of the interesting and helpful options on offer. Download and print them now for free before your next grocery trip. 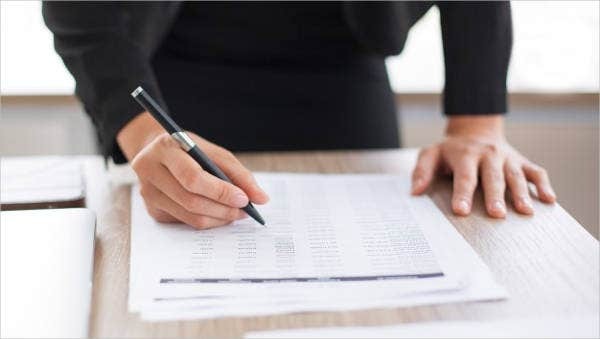 All these lists are available to download as free PDF files you can print and start using right away. It cannot be simpler. Whether you are looking for an organization tool or a themed Food Shopping List, you will find these lists useful.